Today I put up my 101st blog post. When I started writing this blog I never imagined I would end up writing so much. I just realised I have put up a hundred blog posts. Calls for a little celebration, I think. Looking back I must admit it has been a vastly satisfying endeavour. I have been able to document my learning process as a hobbyist woodworker and share some of experience with other enthusiasts in India. It has also been a great learning experience primarily because of the kind of feedback that I have got. Apart from receiving great advice from visitors, I have also got an insight into the state of DIY woodworking in this country. 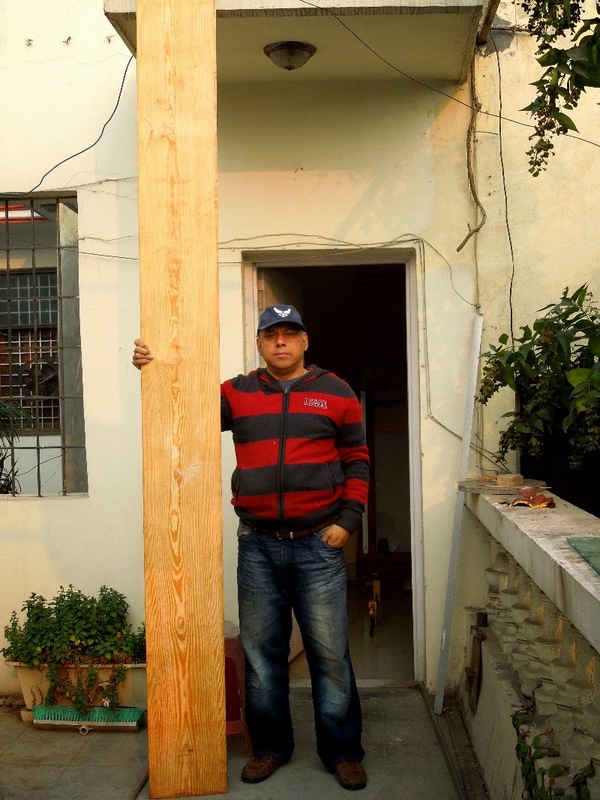 Plywood: Indian visitors are extremely curious to learn about plywood and how to use it. There is not much interest in using regular wood primarily I suspect because of the difficulty in milling wood. Most Indian hobbyist woodworkers like me cannot afford or are not inclined to buy expensive power tools such as planers and thicknessers for home use. Neither do they have access to good quality hand tools or a place to learn how to use them properly. With plywood or board, on the other hand, there is no need for milling. With just a saw, a drill and a few other tools, hobbyists can construct useful and creative items. Tools: Indian visitors want information on tools, how to use them, brands, prices, availability and so on. Some of the most popular posts in my blog are on circulars saws, drills and routers. Over the next few weeks and months, I'll take a closer look at plywood, board and other man-made materials. I will also share plans and project ideas based on these materials. I will also start putting in more tool reviews. Hopefully that will address some of the concerns of Indian hobbyist woodworkers. I would like to use this occasion to thank all visitors for stopping by to read, comment, and share. My Salaam to all of you! To celebrate the 100th blog entry of Indian DIY, I'm holding a contest for readers of this blog and woodworking enthusiasts. To participate tell me about your favourite project (one that you have made) and and email related photographs (jpg format, size below 1 megabytes). Also describe briefly what materials, tools and process you used and the challenges that you faced. Second, in order to qualify you must follow me on Twitter and subscribe to my blog post by email. The idea is to use this contest to make more people aware about this blog. Doing both is easy - on the right hand side of any page in my blog, click on the "Follow Me on Twitter" button and fill in your email in the box above that to subscribe to my posts. Email your entries to indian.woodworker@gmail.com with "India DIY Woodworking Contest" in the subject line with your full name, email address and mailing address. Eligibility: Open for Indians only. Winning Entries: Two winners will be selected. 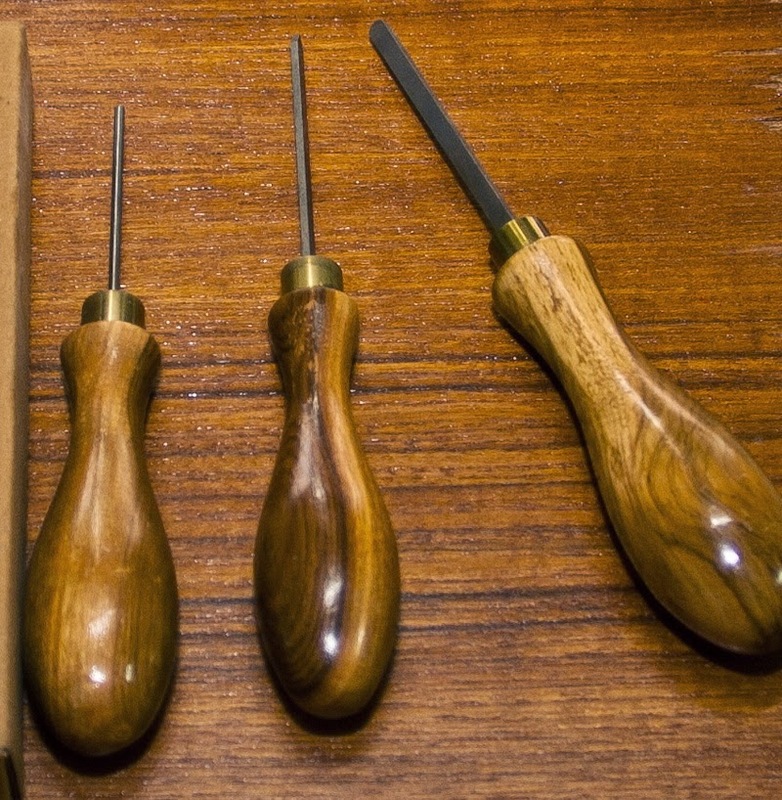 Prizes: The first winner will win a set of beautifully made miniature chisels. 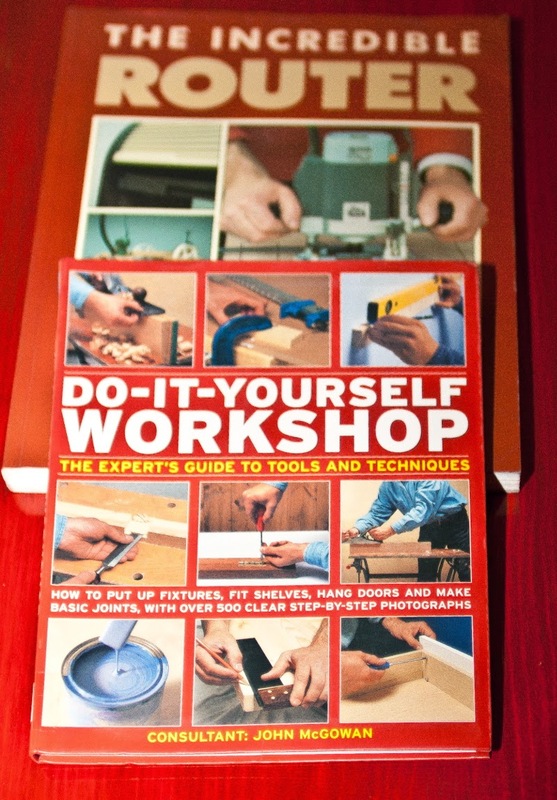 The second winner will win two books titled "Do it Yourself Workshop" and "The Incredible Router". Winners will be intimated by email by 15 November 2014. Send in your entries today. I'd love to see your work. That is pretty nice! What are we supposed to post.? Any project that we liked? Any restrictions? Any project by you. Look forward to your entry! can there be two projects or only one? Great milestone. Even in cricket, or golf, the first hundred is always difficult. The second, third, fourth... are easy. They tell me it's the case for cricket, but golf I can vouch for.